Description: This plant forms low, dense mats on or near coastal areas. The leaves and stems are bright-green to yellow-green and fleshy. 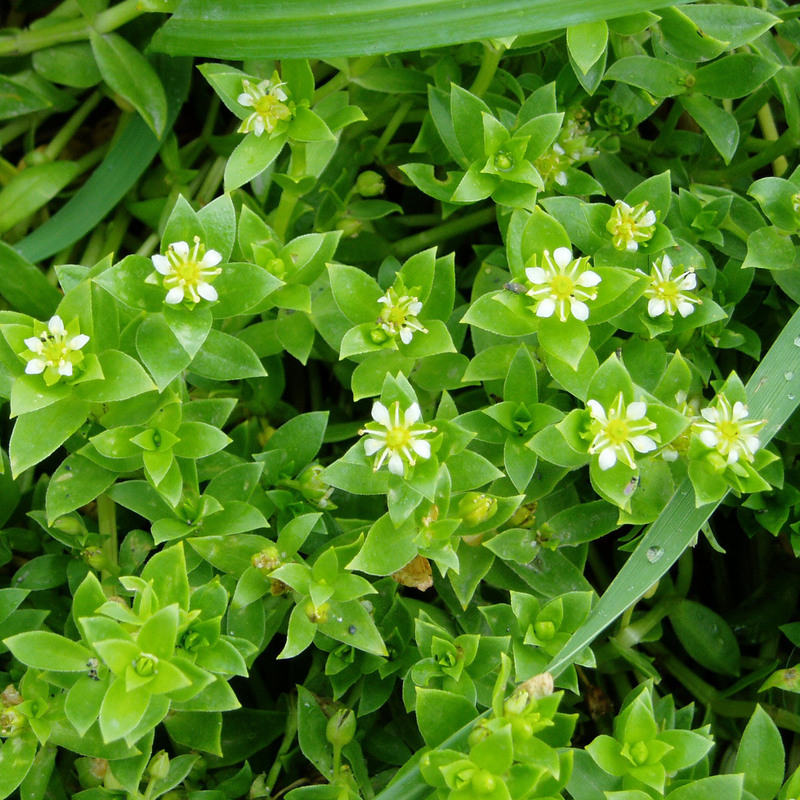 It's opposite leaves and general character resemble Chickweed, hence one of its common names, Sea Chickweed. It looks like Chickweed's plump, beach-dwelling cousin. The flowerbuds start as swollen pods at the tips of the stalk, the open into attractive flowers with five white petals alternating with five narrow, light-green sepals.